FRESNO (KMJ) — The airman from Fresno’s 144th Fighter Wing who was killed in a plane crash in Ukraine has been officially identified. 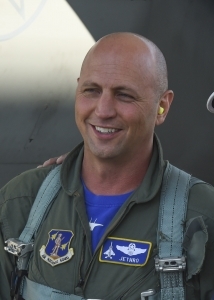 Lt. Col. Seth “Jethro” Nehring died with Ukranian pilot Col. Ivan Petrenko during what was described as a routine familiarization training flight. 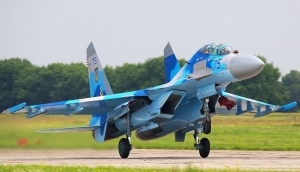 The two airmen were in a Ukrainian SU-27UB fighter aircraft as part of Exercise Clear Sky 2018. The October 16th crash killed both pilots and both the U.S. and Ukrainian governments are conducting an investigation to determine the cause. “We are a close-knit family and when a tragedy like this occurs, every member of the 144th Fighter Wing feels it,” said U.S. Air Force Col. Daniel Kelly, commander of the 144th Fighter Wing. A statement released by the 144th Fighter Wing said Nehring had been with the squadron for more than 20 years. He was deployed to Ukraine as the operations officer due to his more than two decades experience piloting both F-16 Fighting Falcon and F-15 Eagle aircraft. Governor Jerry Brown has ordered that flags be flown at half-staff over the State Capitol, and announced that he will send a letter of condolence to Lt. Col. Nehring’s family.